Acupuncture originated in China about 3,500 years ago and remains one of the oldest, most commonly used systems of healing in the world. Chinese medicine is still the primary medical system for 1/4 of the world’s population. Although its use spread throughout Asia, little was known about it in the West until President Nixon’s groundbreaking visit to China in 1971 when accounts of the use of acupuncture for pain control appeared in the New York Times. The Yinova Center is home to some of NYC’s best acupuncturists and health practitioners, led by husband-and-wife team Jill Blakeway and Noah Rubinstein. 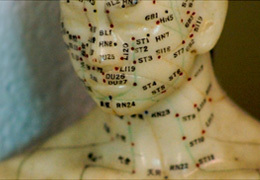 We are proud to provide acupuncture and Chinese herbs from an experienced team of practitioners of Chinese medicine. We also offer natural fertility treatments, massage, nutritional advice, and support groups in a spa-like setting, that is a tranquil retreat from the hustle and bustle of downtown Manhattan. Book Your Acupuncture Treatment Today! From migraines and headaches to back, neck, and shoulder pain. We’re familiar with the stresses and strains that New Yorker’s go through. With acupuncture, we’ve been able to help NY’ers cope with short term and chronic pain. At the Yinova Center, our acupuncturists specialize in male and female fertility and infertility and helping couples to conceive. If you’re currently undergoing IVF treatments, we’ll work with your doctor to create a custom plan that works just for you. Throughout your pregnancy, the Yinova Center is here for you. Our acupuncturists are known to help with Morning Sickness, Fatigue, Swelling, Back Pain and more. Towards the end of your pregnancy, your acupuncturist can help you breech the baby and induce labor. 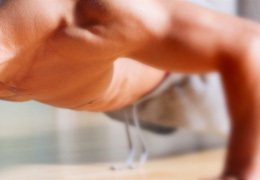 Up to 31% of men report issues with libido, anxiety, stress, and hormonal inbalances. All of these problems can contribute to Low Libido and Sexual Dysfunction. At the Yinova Center, we use acupuncture to treat Male Factor Infertility, Prostatitis, sports injuries, and more. The Yinova Center is one of the few acupuncture clinics in New York City qualified to work with children. The Yinova Center treats babies as young as a few days old and can use acupuncture to help with Colic, Allergies, Digestive Disorders, Asthma, and more. Your acupuncturist at the Yinova Center use a combination of acupuncture and Chinese Medicine to treat an array of ailments, from Allergies and Anxiety, to Depression and Digestive Issues (in children and adults).